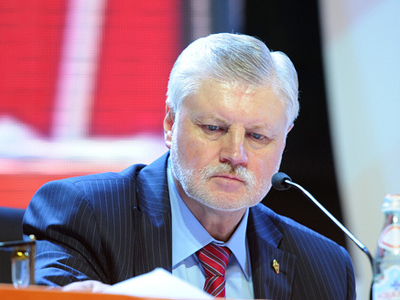 Two opposition parties – the Communists and LDPR – have supported United Russia’s intention to recall Sergey Mironov from the Federation Council. ­The ruling party’s faction in St. Petersburg’s legislative assembly has notified Mironov that it had launched the procedure of his recall as the city’s representative in the upper house. 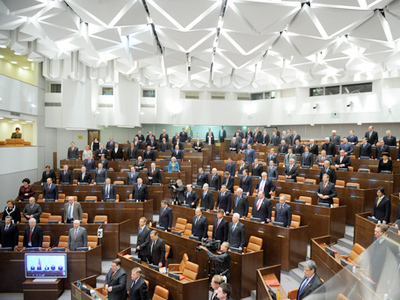 All members of the Federation Council represent regional legislative or executive bodies. 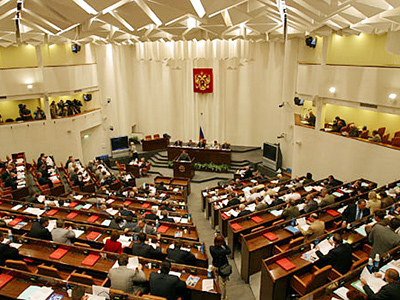 United Russia’s initiative may lead to Mironov losing his post as the speaker of the upper house, which is considered the third in the state hierarchy. Despite the move, the chief executive of the St. Petersburg branch of United Russia, Dmitry Yuryev, made it clear that the final decision will be taken by the ruling party’s leadership. Speaker of the city’s legislative assembly Vadim Tyulpanov announced the plans to recall Mironov at a May Day rally. According to Tyulpanov, the Federation Council’s head has never supported local deputies’ initiatives. Moreover, Mironov “discredited” St. Petersburg “by calling the city the most corrupt in Russia,” Tyulpanov said. He stressed the city has the highest investment rating in Russia. He recently quit the post of chairman of the opposition Fair Russia party, but remains its informal leader. 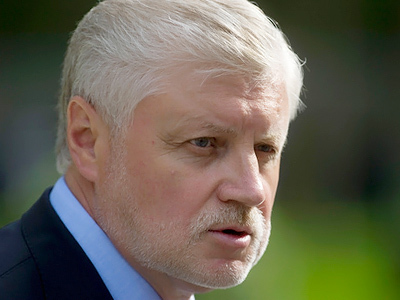 Mironov will head the party’s list for parliamentary elections due in December. United Russia considers Mironov’s party as a political rival, although both parties agreed earlier not to attack each other. As a result of this agreement, the ruling party’s deputies in St. Petersburg voted for him as the city’s representative in the upper house. However, the current political situation, when parties are gearing up for parliamentary elections, is changing the rules of game. While Mironov is strengthening his criticism of United Russia, its deputies are now seeking to recall him. But the situation does not hinder the speaker to remain a close ally of Prime Minister Vladimir Putin, who heads United Russia. Mironov has occupied the position of speaker for almost ten years, Zhirinovsky said. “If he headed the opposition party in the past and still remains in its leadership…then how can the majority from the ruling party nominate him for the Federation Council?” the LDPR leader asked. He called it an “absurd” situation that never exists in other countries. 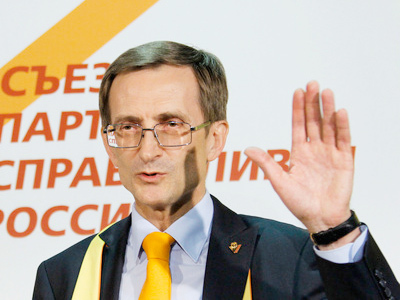 Ivan Melnikov, Zuganov’s deputy, said both United Russia and Fair Russia are trying to attract the same voters, citing this as the main reason behind the scandal. 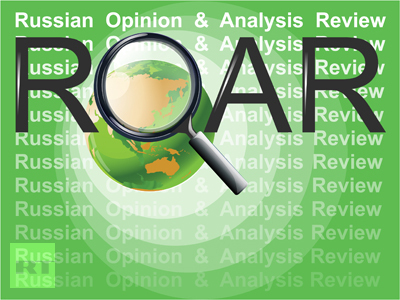 However, analysts say the Communists and Liberal Democrats are also discontent with the fact that Fair Russia takes voters from them. The man who replaced Mironov at the helm of Fair Russia, Nikolay Levichev, warned that the conflict might even spark “an international scandal.” The head of the upper house is involved in the country’s political activities, including contacts with other states, Levichev said. The case of Mironov is unprecedented in Russian political practice, and it is not clear if he will have to resign as speaker if he is recalled as the city’s representative. The chairman of the Federation Council’s regulations committee, Nikolay Tulayev, said “impeaching the speaker” was not within the competence of any party or organization. “If Mironov is recalled, he will be recalled precisely as a senator, not speaker,” he told Interfax. The Federation Council itself has a procedure to terminate the speaker’s powers, but no one “finds it necessary,” Tulayev said. He explained the attempts to recall Mironov as within a political context in view of approaching elections.